As we all know Adobe Flash Player is no more supported by Android Smartphone and Tablet devices and also Adobe took down its Flash Player v.11.1 from Android's Google Play Store and it’s still discontinued for old and upcoming Android devices for the sake of HTML5 so if you're using any Android based devices running Android Jelly Bean operating system than you won't be able to download and install Adobe Flash Player on your smartphones and tablets because of its incompatibility but it’s a fact that we all need Adobe Flash Player on several online websites, apps and games which fully required Adobe Flash Player but now you don’t need worried because we are going to share a Guide and Tutorial of Adobe Flash Player Installation On Any Android Jelly Bean Smartphones and Tablets devices. Installation of Adobe Flash Player on Android Jelly Bean device requires Dolphin Browser HD App and you can only use this App for Flash Player because it’s the only web browser that’s fully support and compatible with the Flash technology and always remember that Don’t Try to Update Current Version of Dolphin Browser HD App otherwise you may lose Flash Player support and second thing you will need a Flash Player 11.1 for Android Jelly Bean, we will provide you both download links below so let's start the Tutorial and Guide of Adobe Flash Player Installation On Any Android Jelly Bean Smartphones and Tablets devices. Step 1: Uninstall or Delete Any Dolphin Browser or Flash Player Apps from your Android device. Use the native Android App Manager, and make sure you hit Clear Data first, followed by Uninstall. Step 2: Now Copy both the downloaded APKs files on your device storage, where they can be installed through any file manager. Step 3: After that, make sure installation of apps from unknown sources is allowed by heading to Settings > Security > Unknown Sources = Checked. Step 4: Now Install Adobe Flash Player APK using any file manager, followed by Dolphin Browser HD. Step 5: After that, Launch and Run Dolphin Browser HD, head over to settings, and toggle the Flash Player option. Step 6: Exit the browser App and start it again. Congratulations!! 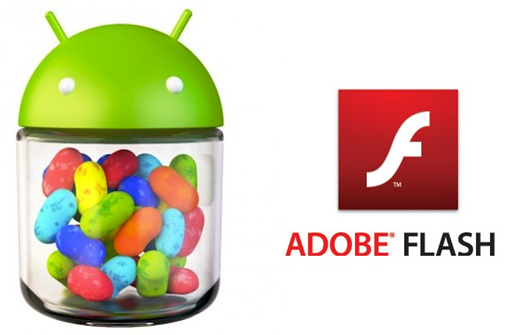 Adobe Flash has been successfully installed and activate on your Android Jelly Bean's Dolphin Browser HD App. Enjoy! !